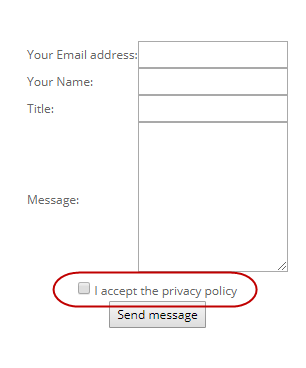 After multiple requests, we have implemented a checkbox into the contact form. (accepting the requirements you give) before they can send a message. For example, you can use it if your terms or your privacy need to be accepted. You can write any text or HTML code such as a link to privacy or the Terms. You will find the checkbox in the extra "contact form" under "advanced settings"